American Craftsman Renovations is a professional general contractor located in Savannah Georgia that provides the following services to Dutch Island homeowners: kitchen remodeling and renovations, bathroom remodeling and renovations, home additions, structural repairs, roofing services, and historic restorations. American Craftsman Renovations offers Dutch Island homeowners with professional kitchen remodeling and renovation services. Depending on your needs and budget, we can give your kitchen a fresh look with a new backsplash and appliances or we can recreate your entire kitchen, creating a new space that meets the needs of your family. Work with us today and let us help you identify your needs so that we can design your dream kitchen. 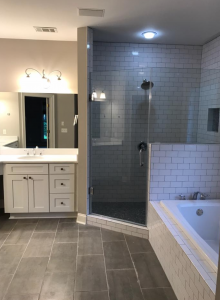 When the time has come to remodel or renovate your master bath, hall bath, or guest bathroom, American Craftsman Renovations is here to help. Thanks to our many years of experience, we can provide you with the best bathroom remodeling services on Dutch Island. Let us work with you to come up with the design that you want for your new bathroom or bathrooms and let us bring your vision for your bathrooms to life. 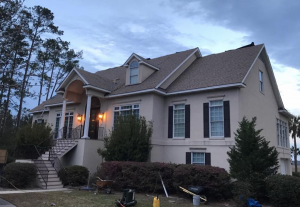 Dutch Island homeowners looking to increase the square footage of their property can rely on American Craftsman Renovations for professional home addition services in Greater Savannah Georgia. No home addition project is too big or too small and we can help increase the square footage of your property, creating more useable space for your family. Dutch Island homeowners that are in need of structural repairs can rest easy knowing that American Craftsman Renovations will get the job done the right way the first time. Ensuring your home is safe for you and your family is our number one priority, so give us a call today for your foundation or structural repair needs on Dutch Island. Savannah Georgia general contractor American Craftsman Renovations offers roofing services to homeowners on Dutch Island. We can repair any shingles that are damaged as well as replace your entire roof it is older or damaged beyond repair. Our roofers have many years of experience and can help you accomplish your roofing goals. Dutch Island historic property owners can rely on American Craftsman Renovations for professional historic restoration services. Not only are we extremely familiar with Savannah properties, but we are also committed to excellence on every project we take on. Let us help you restore your home the right way, the first time, while staying true to its natural beauty and historic charm.